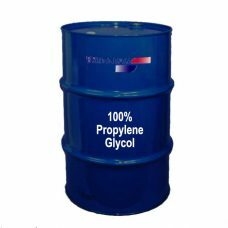 Propylene glycol 100% is a clear, colorless and hygroscopic liquid, also called propane-1,2-diol, is a synthetic organic compound with the chemical formula C3H8O2. It is a viscous colorless liquid which is nearly odorless but possesses a faintly sweet taste. The freezing point of water is depressed when mixed with propylene glycol owing to the effects of dissolution of a solute in a solvent (freezing-point depression); in general, glycols are non-corrosive, have very low volatility and very low toxicity, however, the closely related ethylene glycol (a key ingredient in antifreeze) is extremely toxic to humans and fatally toxic to many animals. 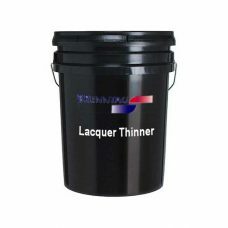 TROPHY BGL Lacquer Thinner is a high-solvency thinner for thinning lacquers and epoxies, and is an excellent for cleaning spray guns immediately after use to keep them in top condition.